As a fan (my friends tend to say fanatic!) of Rajnikanth, I rate his movies on a different set of standards that I do other movies. There are certain qualities that I have come to expect in his recent movies. Apart from being a clean entertainer, it must have great comedy, well-staged fight sequences, pleasing and nicely-choreographed song sequences and a certain amount of politically tinged dialogs. Annamalai, Rajnikanth's first of three hugely successful associations with Suresh Krissna, has it all. It is my favorite Rajnikanth movie(Baasha comes a close second but loses out on comedy and political dialogs) and one I never get tired of watching. Annamalai(Rajnikanth) and Ashok(Sarathbabu) have been friends since childhood. Annamalai is a milkman while Ashok is the only son of a rich businessman(Radharavi). When Ashok falls in love with Geetha(Rekha), a poor girl, his father is naturally against the wedding. But Annamalai holds the wedding and earns his ire. Plotting to drive a wedge between his son and Annamalai, the businessman hints that he would like to build a hotel on Annamalai's land. Annamalai gives the land to Ashok without even accepting money for it but when Ashok later talks about bringing down his house, he slaps Ashok's father in anger. Ashok orders Annamalai's house to be bulldozed to the ground which drives Annamalai to challenge that he would become a bigger and more successful hotelier than Ashok. Annamalai is a Rajni fan's dream come true. Suresh Krissna picturises the important scenes in a rousing manner. The standout scene is the one where Rajni is elected the new head of the Hotelier's Association. Right from the moment the doors open with Rajnikanth waiting with pipe in mouth to the point where he grandly takes his seat after blowing smoke directly into Sarathbabu's face, this scene is an example of good picturisation embellishing a scene. The scenes where Rajni strides out of Sarathbabu's house after throwing the challenge at him and later, makes him buy a house at an auction thereby pushing him even further into debt, are other exhilarating scenes. There is a light vein of comedy running throughout the first half with clever scenes like Kushboo mistaking Rajnikanth to be a prince, a milkman and a robber due to circumstances. Laughs peak in the scene where Rajnikanth deals with a snake in Kushboo's hostel. Both his incoherent babbling when the snake crawls on him and his dazed walk while chanting "Kadavule Kadavule" until Kushboo pulls him over evoke lots of laughs. The movie doesn't go overboard with political double entendre and serves up just the right amount. There were just hints of trouble brewing between Rajnikanth and JJ when this movie was released and the palmist's warning about trouble coming in the guise of a woman hints at this. The proclamations to the minister to leave him alone are also well-timed. One department where other Rajni films have lacked is the realistic portrayal of relationships. Usually they tend to be cliched and dramatic like the mother-son relationship in Padaiyappa. But the relation between Rajni and his daughter here is very nicely portrayed. The advice he gives her regarding not taking all-important decisions at her age rings true. Even the importance he places on his mother is brought out well in a short scene where he falls at her feet on his wedding day instead of going to the temple. Fight sequences are impressively staged with the encounter in the Minister's house taking the cake. The slow-motion shots in this sequence highlight the fact that Rajnikanth has performed many of his own stunts. The climax also includes some clever turns like the breaking of glass in the office room(a lift from Die Hard) and the huge number of similar cars(with one of them containing a bound and gagged Sarathbabu), instead of a long and continuous fight sequence. Song sequences are imaginative, especially the Annamalai Annamalai... which features Rajnikanth in the three roles imagines by Kushboo. Kondaiyil... is fast and incorporates scenes from early Rajni and Kushboo films while Vetri Nichayam... is the usual song during which Rajni climbs the rungs of success. 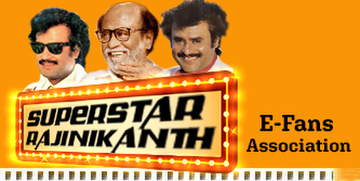 Rajnikanth lights up the screen in both the comic and serious portions. Kushboo serves as a nice foil for him. She shares a good chemistry with him and shows nice flair for comedy. Sarathbabu, who has shared the screen in several of Rajnikanth's hit films, and Rekha are adequate. Radharavi, with a mannerism of scratching the back of his neck, is impressive when he asks for forgiveness from Manorama. 'Nizhalgal' Ravi is an effective wolf in sheep's clothing. கவிதாலயாவால் துவக்கப் பட்டு ....இயக்குனர் மாற்றப் பட்டு ஏன் அண்ணாமலைக்கு அரோகரா என ஆருடம் சொல்லப்பட்டு அதை எல்லாம் உடைத்து சக்கைப் போடு போட்ட படம் அண்ணாமலை. ஜனகராஜூம் தலைவரும் வரும் ஆரம்பக் காட்சிகளின் நகைச்சுவை நடைமுறை வாழ்க்கையின் பிரதிபலிப்பு... மெல்லிய நகைச்சுவை இன்றும் ரசிக்கலாம்....தலைவரின் பாம்பு சென்டிமெண்ட் செமத்தியாக ஓர்க் அவுட் படங்களின் அண்ணாமலையும் ஒன்று.. சின்னஞ்சிறுசுகள் விழுந்து விழுந்து சிரித்த இடம் அது.. பாம்பு காமெடி சிறுசுகளுக்குன்னா... கடவுளே கடவுளே காமெடி இளசுகளுக்கு..
பாடல்கள் ஒவ்வொன்றும் ஒவ்வொரு விதத்தில் ஹிட்டு.... அறிமுக பாடல்களின் ஆர்ப்பாட்ட ட்ரெண்ட் சென்டர் வந்தேன்டா பால்காரன் பாட்டு தான்னு நான் நினைக்கிறேன்..பாடல் வரிகள் பாடங்கள்..
கொண்டையில் தாழம் பூ.. நெஞ்சிலே வாழப்பூ.... படம் வந்தக் காலத்தில் சக்கப் போடு போட்ட பாட்டு... தலைவரின் ஸ்டைலில் தியேட்ட்ர்கள் எல்லாம் சும்மா ஆட்டம் கண்டுச்சுல்ல..
அண்ணாமலை அண்ணாமலை... டூயட் பாட்டை எழுந்து போகவிடாமல் ரசிக்க வைச்சாங்க...ரெக்கக் கட்டிப் பற்க்குதுய்யா அண்ணாமலை சைக்கிள் பாடல்கள் மெலிதான மெலடி...தாளம் போட்டு தலையாட்டவும் வைத்தன..
சரத் பாபு, குஷ்பு, ராதா ரவி, நிழல்கள் ரவி, மனோரமா, வைஷ்ணவி போன்ற பலரும் படத்தில் நடித்து இருந்தனர்.. ஆயிரம் நட்சத்திரங்கள் இருந்தாலும் உச்ச நட்ச்சத்திரம் ஒண்ணு தானேப்பா....அதுல்ல என்ன சந்தேகம்.. அது வீரத்தில் மன்னனே.... வெற்றியில் கண்ணணே.. என்றுமே ராஜா நீ ரஜினி....அண்ணாமலை மொத்தத்தில் பார்க்க பார்க்க மறுபடியும் ரீப்பிட்டே.